WASHINGTON, DC  Executive Director Scott Pruitt today announced the final decision on the disposition of the toxic waste dumps in the San Jacinto River, near the I-10 bridge. In a press release dated Wednesday, Oct. 11 the EPA said they had issued a final Record of Decision based on the best interests of nearby residents, local businesses, and downstream resources including the Galveston Bay estuary. The plan for complete removal of the waste material has been modified to provide cofferdams around the excavation of dry material, instead of wet material in the original plan. The cost is now estimated at $115 million instead of the previous $97 million. The proposal includes both the Northern and the Southern impoundment areas. 212,000 cubic yards of dioxin contaminated material will be removed from the sites for proper disposal. Local environmentalists and officials praised the decision of the EPA, including Jackie Young of THEA and the San Jacinto River Coalition. Young has led the fight for removal of the pits for a number of years, prompted by serious health problems she attributes to pollution from the waste pits. 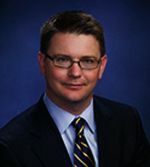 Others who issued statements in favor of the decision included Harris County Attorneys Vince Ryan and Terry ORourke, Congreeman Gene Green, and Precinct 2 Commissioner Jack Morman. Jackie Young told the Star that she was pleased with the decision, but would continue to be engaged in the issue, and be a watchdog over the removal project. DALLAS  (Oct. 11, 2017) The cleanup plan to address highly toxic dioxin contamination at the San Jacinto Waste Pits Superfund site in Harris County, Texas has been approved. The selected remedy will protect human health and the environment by removing highly contaminated material from the site and securing less contaminated areas. The plan provides certainty to people living near the site by permanently addressing risk posed by the contamination. It also provides certainty to other economic interests including the businesses that rely on the San Jacinto River for navigation and the Interstate-10 transportation corridor. EPAs cleanup plan includes installing engineering controls such as cofferdams before excavating almost 212,000 cubic yards of dioxin contaminated material for disposal. A small amount of material will stay on the site where controls will prevent access, eliminate off-site migration and monitor the natural recovery into the future. The estimated cost for the remedy is $115 million and is cost-effective; representing a reasonable value for the cost incurred. EPAs final cleanup plan, called a Record of Decision, addresses comments on the proposed plan concerning the risk of water spreading dioxin contamination downstream by installing controls such as cofferdams to allow for dry excavation of the waste material. Changes in the construction method will effectively eliminate any potential for spreading contamination to downstream areas. The $97 million proposed plan outlined wet excavation of material. The Superfund site consists of two sets of impoundments, or pits, built in the mid-1960s for disposing solid and liquid pulp and paper mill wastes that are contaminated with polychlorinated dibenzopdioxins (dioxins) and polychlorinated dibenzofurans (furans). In 2011, the impoundments were covered with an armored cap as a temporary way to contain the contaminants. EPAs decision, fully explained in the Record of Decision, is based on extensive studies of the contamination, human health risks, and environmental risks of this site. The final cleanup plan considers the ever-changing San Jacinto River, which encroaches on the site, and protecting important downstream resources including the Galveston Bay estuary. EPAs selected remedy will permanently address the highly toxic dioxin waste materials, meets the federal regulatory requirements of the National Contingency Plan for cleanup of hazardous sites, and is protective of public health and the environment. EPA will release an Administrative Record, which consists of all documents used to support its selected remedy. 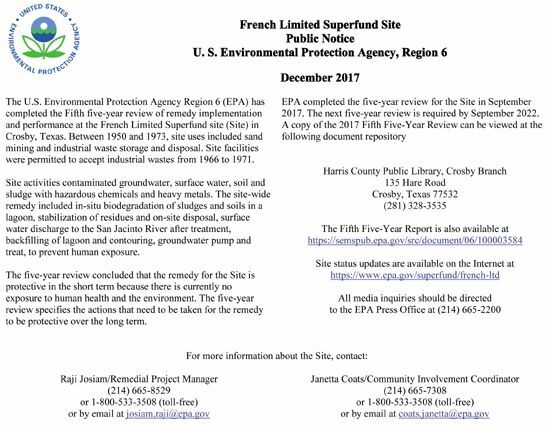 EPA added the San Jacinto Waste Pits site to the National Priorities List of Superfund sites in 2008, after testing revealed contamination from dioxins and furans near the waste pits. 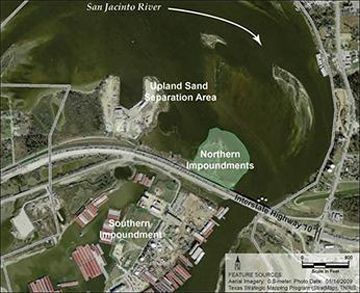 The northern set of impoundments, about 14 acres in size, is located on the western bank of the San Jacinto River, north of the Interstate-10 bridge over the San Jacinto River. These northern impoundments are partially submerged in the river. The southern impoundment, less than 20 acres in size, is located on a small peninsula that extends south of the Interstate-10 bridge. EPA is the lead agency for addressing the site and cleaning up the contamination, with support from several state partners and the U.S. Army Corps of Engineers. CROSBY – To know what needs to be done and to know what is going on in ones community is an asset to every citizen. Last week at the Community Awareness program a series of speakers tackled a number of topics related to making local neighborhoods less attractive to crime. 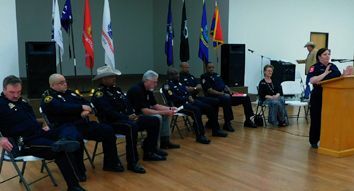 A dozen Precinct 3 Deputies including the Constable and his Executive Staff, three Harris County Sheriffs Deputies, Dan Webb, the new NPOAN President and head of the Newport Neighborhood Watch, and Velma Ellison described the developmental changes on-going in Crosby. All these speakers and more under the direction of the Chamber Chairperson Larry Koslovsky. Christy Graves, Director of Medical Services for HCESD#5, the EMS service of Crosby during her speech, talked of the one frequently seen drug in Crosby, synthetic cannabinoids. People think it is okay because it was once called legal marijuana or synthetic marijuana but now illegally sold under the colloquial Kush, Spice, K-2 but it is a very dangerous substance. It is easily obtainable under the counter at convenience stores or at smoke shops or by mail. There are few that cannot get their hands on this drug. Users are not street people or homeless folks but our kids and our neighbors and grandkids. When we first saw this drug about two years ago in Crosby we would encounter maybe two a month overdoes. Now we respond to six to eighteen a month. The drug is very volatile. You can smoke it one time and do fine, you can smoke it over several months and do fine but it is like playing Russian Roulette. You could smoke it just once and it can kill you. The users have no ability to understand the molecular dynamics of this drug. The drug is very unstable in its chemical makeup. It is not excreted from the body. Synthetic cannabinoids is the leading drug issue requiring emergent intervention for the EMS locally. It has become the drug of choice for many because it is not detected in urine screening and is easy and cheap to obtain. Manufacturers are constantly changing its chemical ingredients because of federal bans of certain chemicals used in the making so they can keep selling it. Constable Sherman Eagleton had been in office for 82 days when he spoke at the meeting. In that time he has restructured the department and put 31 officers on the street to better serve the community without costing the tax payers any additional money. During his introduction we learned that Constable Eagleton grew up dreaming of being Constable and as Constable providing our community the service it deserves. 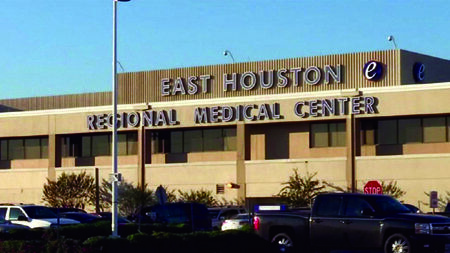 Eagleton wanted to implement a more community oriented policing strategy for the areas of northeast Harris County. 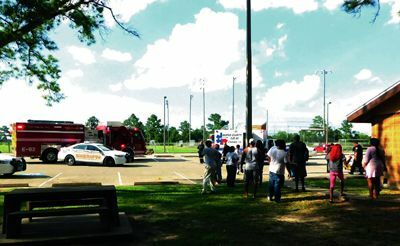 Two important numbers were released for the public to know, anonymous tip line is (832) 927-8477 to report criminal activity and (713) 453-6959 for suspicious persons and possible criminal activity and 911 for directly seen criminal activity and emergency response. 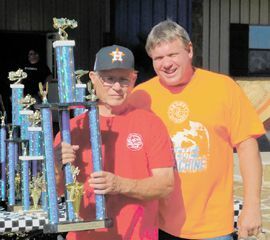 In the plans are programs for youth activities and a host of nontraditional programs. If you see something, say something. were the watch words of the night from deputies. Organizing neighborhood watches were the topic from Dan Webb and Sheriffs Deputies.